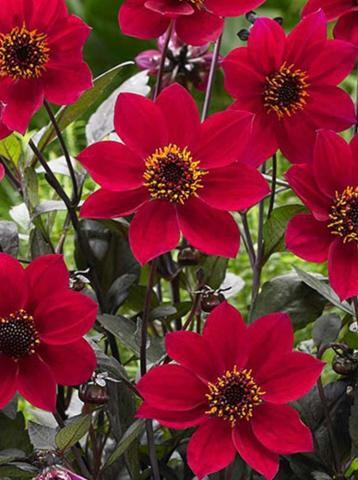 Wonderful deep dark purple divided foliage smothered with single full petaled red flowers and a golden ray of stamens mid summer onwards. Sun and good drainage but does not like to dry out. 40cm tall.